Does this sound familiar? I just moved to Florida. I wouldn't know a native plant if it jumped up and bit me. The nurseries are of no help. My builder came and cleared my property and brought in fill sand. What plants will grow in that stuff? They send me to a nursery to pick out plants. The builders, neighbors, and nurserymen tell me to drive around my area and look for plants that are appealing to me. Are they native? Well, let me tell you most likely they aren't. They will sell you ligustrums, exotic azaleas, hibiscus, and many other assorted nursery stock from anywhere but Florida. They could carry natives, but they are either misinformed, old school, or don't care. During this present drought customers would be happier with natives. I went away for two weeks at the beginning of May. No rain. My Indian blanket flower (Gaillardia pulchella) was in full bloom as was the Coastal plain tickseed (Coreopsis gladiata). The beach sunflower (Helianthus debilis) hasn't stopped blooming since I planted it. I don’t have all natives, but I only keep the non-natives that survive on their own. If they fail I replace them with a native. By the way, I do not have grass in my back yard and there is only a small amount on the road right-of-way in the front yard. Grass is a luxury we can ill afford. Just think of the routine - feed, water, and cut. And don't forget the fertilizers and pesticides, and then the WATER, WATER WATER. Green is pretty but flowers are better. Natives can survive Florida's weather patterns. They have been doing it longer than mankind. Also, the critters will appreciate getting back some of the environment we have taken away from them. To find out where to get native plants or to learn about them - contact the Florida Native Plant Society at P.O. Box 690278, Vero Beach, FL 32969-0278. There are many local chapters that they can give you contact information for. Also, the Association of Florida Native Nurseries can be contacted at P.O. Box 434, Melrose, FL 32666, 1-877-352-2366. 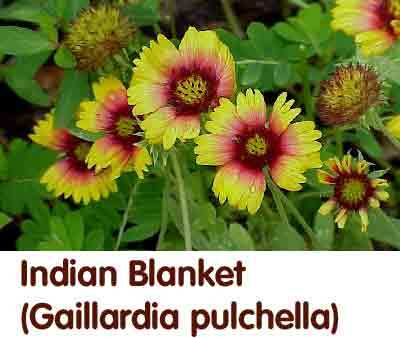 They publish a catalog which lists where native plants can be purchased throughout the state.